Carl Jung is one of the most prominent psychiatrists in history, and his ideas regarding the expression of the unconscious in various forms of creativity have paved the way for many modern treatments, including the use of art therapy. Jung was particularly drawn to the concept of the mandala (from the Hindi for circle or center), a form of repetitive pattern in the shape of a circle long used in cultures around the world. These archetypes were developed because they consistently show up in history and in different cultures, even in the days before cell phones and the Internet made communication and information instantly accessible. Jung realized that many of his personal experiences and the experiences of his patients contained many of the same basic themes that had reappeared throughout historical writings, and so he sought to organize common human patterns. The circle then, is Jung’s archetype of a whole, united self. Every culture around the world uses the circle in a similar way, therefore making it a universal concept. This optimized self benefits from internal organization, and can therefore handle crises or upsets more readily. 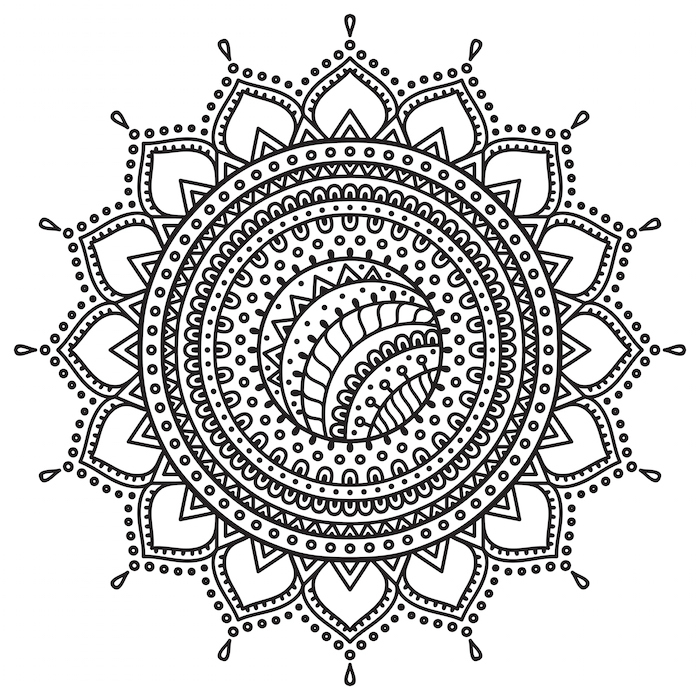 Based on these premises, mandalas take on a new meaning for personal development. 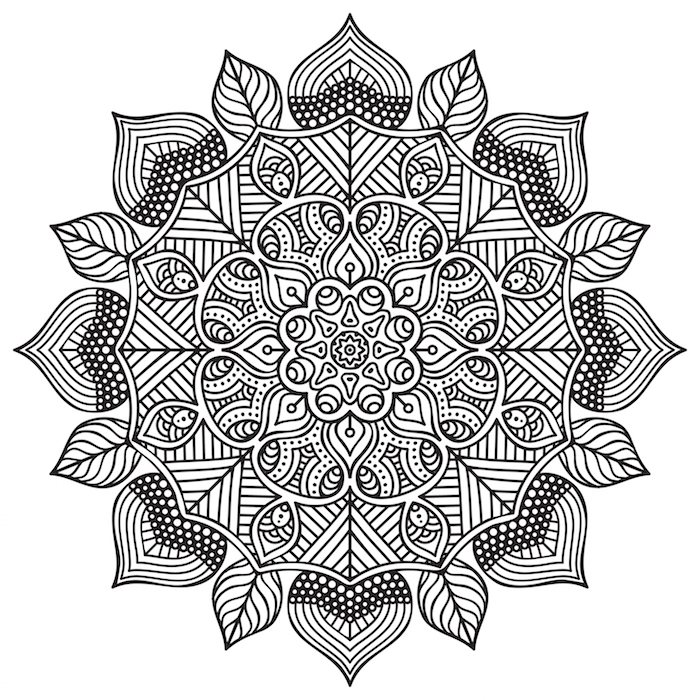 How Did Jung Use Mandalas? Jung and many of his contemporaries who developed psychoanalysis and the modern psycho-therapeutic process as we know it relied on free expression as a way to tease apart underlying issues within the psyche. This was often done through art making, as creative forms of expression were seen as more effective in breaking down defense mechanism than just talk therapy. Using symbolism is a key way for therapists to help clients connect with internal processes that they may be struggling to get perspective on, and is much easier to accomplish through creative means. For Jung, mandalas became objects to draw, model, act out, or even describe as a way to indicate unconscious mechanisms at play that may be affecting a central wholeness. Based on what colors or shapes a client used, there were corresponding archetypes that could then be interpreted to make sense of internal struggles. Jung, Father of the Modern Mandala? Following on Jung’s history, the mandala has been used extensively in modern creative art therapies. While Jung did encourage spontaneous expression to study the unconscious, he also early on recognized the importance of providing boundaries in a therapeutic space, particularly for those clients affected by psychotic ego organization. Therefore, the mandala in therapy can be used as a way to contain a client who may be in crisis, as it provides a grounded center with which to settle disorganization. The symbolism of drawing inside a contained circle as a way to understand the self and to represent a unified concept of wholeness within is one of Jung’s lasting legacies in psycho-therapy and personal development.